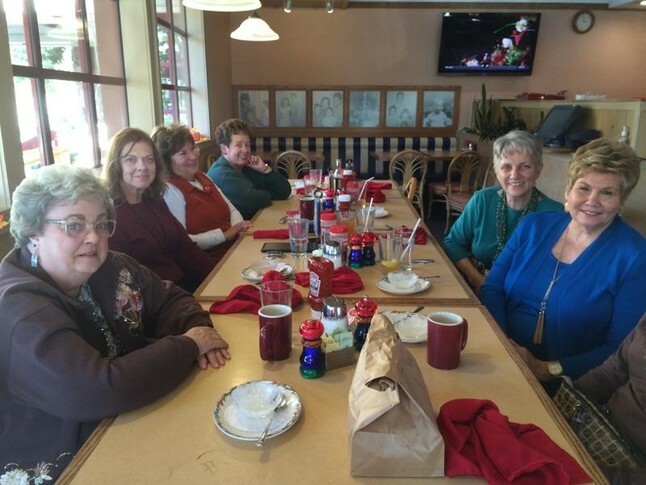 Eight of the ladies from our Sac High Class of 63 got together last Thursday for lunch at Brookfield's on Folsom Blvd. Two were "special guests" as Bonnie (Vaughn) Merriman came all the way from Illinois, and Janice Rohrer was an old classmate from the Kit Carson Jr. High Days who joined them. Looks like a gret time! 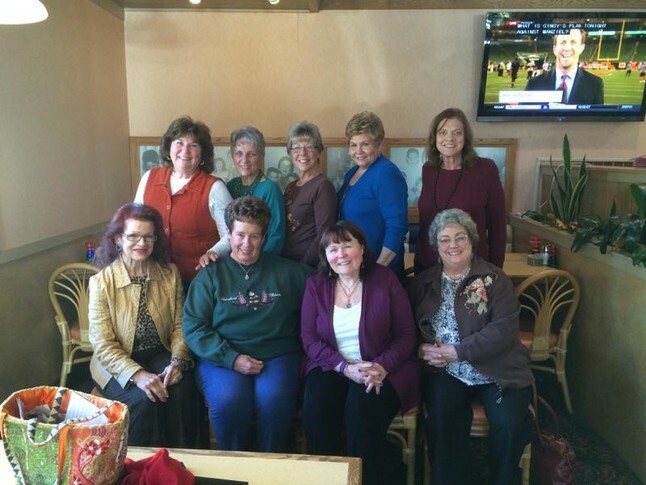 L-R Front: Marcia (Murray) House, Marybeth (Hall) Doull, Bonnie (Vaughn) Merriman, Patty (Anderson) Speere; Back: Linda (Warner) Weesner, Earlene Lockhart, Barbara (Wood) Baur, Janice Rohrer, Tammy (Whitcomb) Garcia.